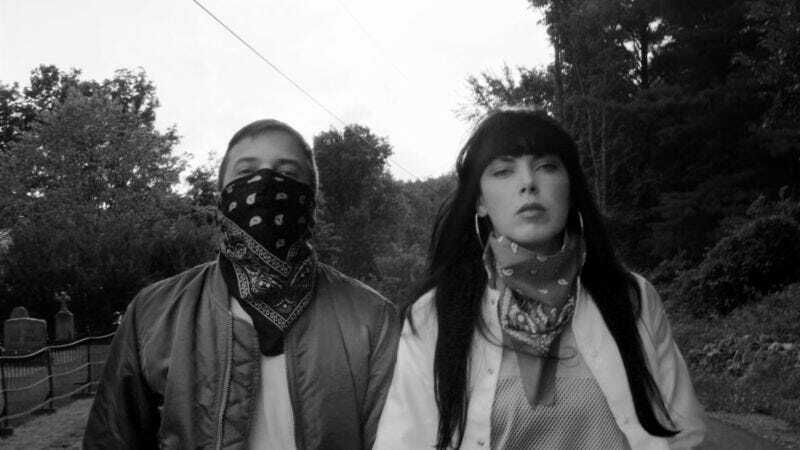 It’s been a while since noise-pop duo Sleigh Bells released an album, after an initial creative sprint that saw them release three pretty distinctive sets—Treats, Reign Of Terror, and 2013’s Bitter Rivals—in the space of just a couple of years. But after a number of delays and false starts—and an ongoing legal battle with their musical nemesis, Demi Lovato—it’s finally time for a new Sleigh Bells album to hit stores. The band has announced that Jessica Rabbit will arrive on November 11, delighting fans of messy pop tunes and cartoon lounge singer fetishists everywhere. To commemorate the upcoming release—which features outside contributions from Dr. Dre producer Mike Elizondo, a first for the group—band members Derek Miller and Alexis Krauss have released a new single from the album, in the form of a music video for its lead-off track, “It’s Just Us Now.” You can watch the video above, and check out the album’s track list—including the previously released “Rule Number One” and “Hyper Dark”—below. The band’s also kicking off a new tour in support of the album, starting tomorrow night in Cleveland.